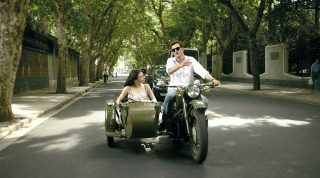 The high-rise property resides in the downtown Jingan district, a short saunter from parks, museums, temples, and the fashionable shopping and dining of Nanjing West Road. 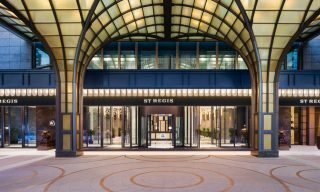 Shanghai has often been called the New York of China, so it comes as no surprise that this outpost of the venerable Manhattan-born St. Regis brand feels right at home in China’s most cosmopolitan city. 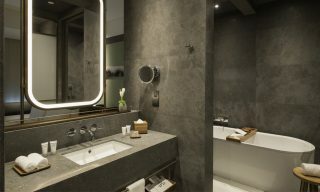 Away from the hotel-crowded Bund riverfront, the high-rise property resides in the downtown Jingan district, a short saunter from parks, museums, temples, and the fashionable shopping and dining of Nanjing West Road. 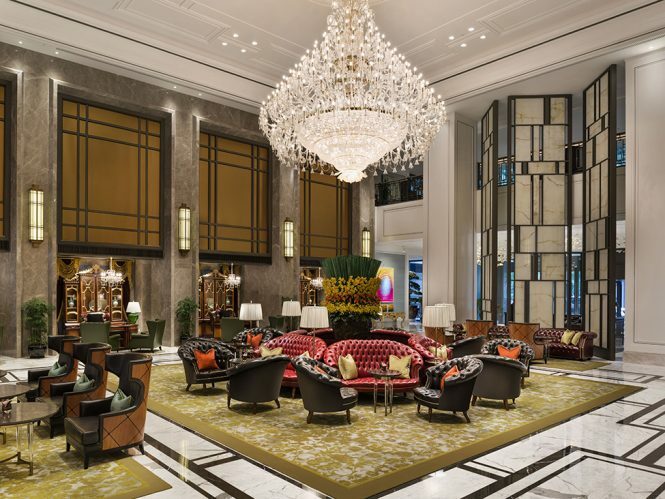 Exuberance prevails in the triple-height lobby, adorned with chandeliers the size of small swimming pools, giant urns of fresh flowers, and gold-trimmed carpets. 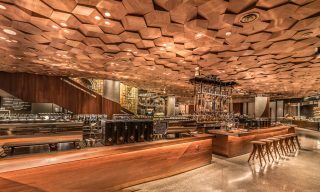 Jazz music sets a jaunty vibe as travelers and local trendsetters lounge on tufted leather armchairs in shades of sherry and olive and butlers sashay through the scene. Presenting sweeping city views from the 36th to 68th floors, 491 elegant guest rooms and suites feature soothing blue silk walls and pale marble bathrooms, with pops of flamboyance in the stingray-upholstered work desk and tasseled gold curtains. Guests can choose from six restaurants and bars, including traditionally styled Cantonese and Japanese dining and the not-to-be-missed St. Regis Bar, where a Shanghai-inspired riff on the Bloody Mary—the Mary Jing—is made with fig-infused vodka, yellow tomatoes, and osmanthus honey. 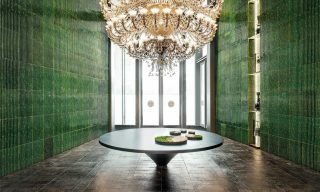 This article originally appeared in the October/November 2017 print issue of DestinAsian magazine (“The Luxe List 2017: The St. Regis Shanghai Jingan”).